Harrow is the forthcoming, debut full-length from Future Scars, out on Matron Records on 8/9/19. You can pre-order the album as a digital download, CD or double LP color vinyl. The CD & vinyl come with a 14 page accompanying booklet featuring 10 original illustrations for each song by guitarist/vocalist Eliza Lutz. All pre-orders come with an immediate download of “Failure To Thrive,” the first single off the record. 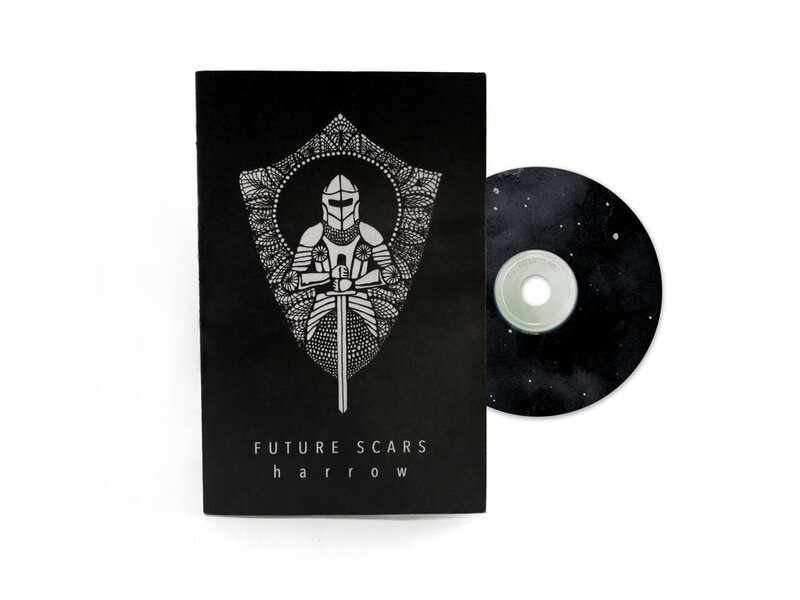 FUTURE SCARS released their debut EP, Before, There Was Fear on Matron Records on November 18th, 2016. The debut was recorded at The Decibel Foundry in Santa Fe in July 2016 and engineered, mixed and mastered by Augustine Ortiz. The CD version of "Before, There Was Fear" comes packaged directly on a screen printed posted featuring original artwork by Eliza Lutz (Future Scars' guitarist and vocalist). This CD+Poster is limited to an edition of 200 and comes with a digital download.